One of main advantages of using Linux PDF editor is that it's open source and totally free to use. It works well with most hardware specifications. Linux does not come with a built-in PDF viewer or editors, so to edit PDF on Linux, you will need a third party program on your computer. Most of the PDF editors for Linux are free of cost and do a very good job. However, there are other options to edit PDF files on Linux which may cost you a bit more, but will also provide more features than free versions. Here are three different ways to edit PDF files on Linux. Most of these PDF editors are only available as Linux PDF editors, while Windows and macOS users have hundreds of applications a their disposal. One such application is PDFelement, which is a perfect PDF editor which will let you edit images, text, links or even pages of a PDF file. 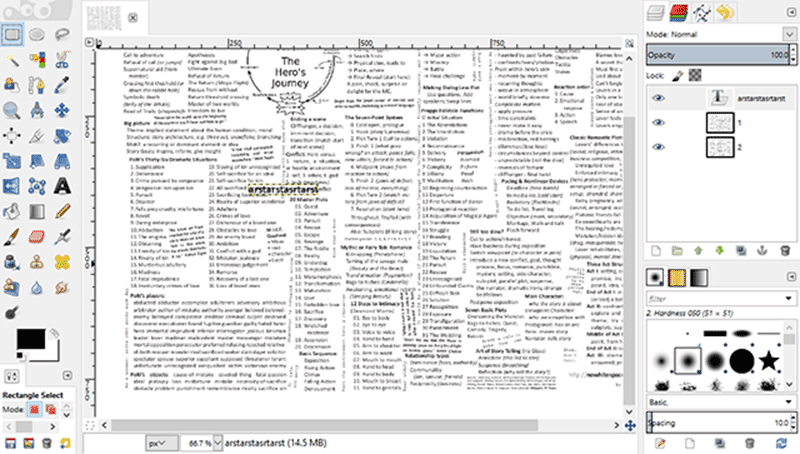 Users can also annotate PDF files with comments, sticky notes or highlighting features for text. It also embeds professional features like OCR, which is necessary to convert scanned PDFs into editable text. 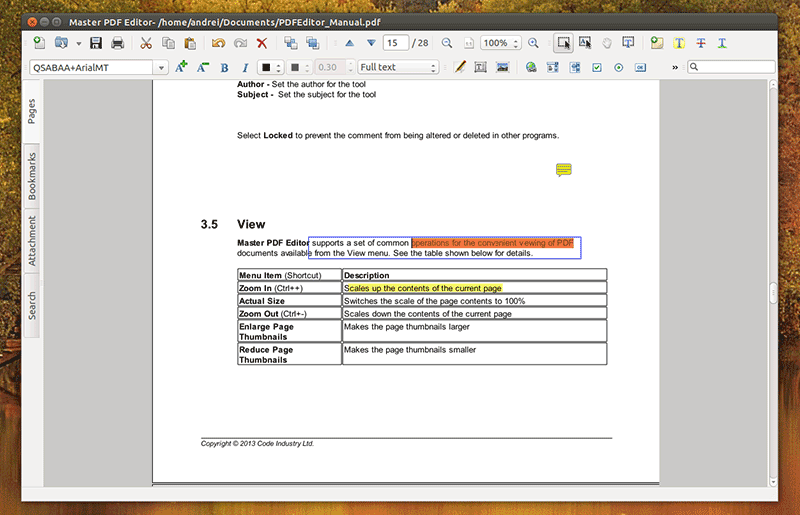 After performing OCR, you will be able to edit scanned PDF files on your computer. Lastly, it is also a converter which will let you convert PDF files into multiple other formats with different options such as; you can select the pages that you want to convert or perform the OCR feature on converted files. Open Master PDF Editor on your Linux computer. Import your PDF file into the program. You can go to "File > Open" and select the PDF file that you want to edit. Once the PDF file is opened, you can edit different aspect such as text or images of the file as shown in the screenshot below. You can either add text or add new images in the PDF file. GIMP is one of the most famous Linux master PDF editor programs. It can also edit image PDF files. You can only edit one page at a time using GIMP and after completing the task, you will have to save the PDF in GIMP. Here's a detailed guide on how to download and use GIMP for PDF editing on Linux. First, download GIMP from its official website. It does not require any coding and can be installed quickly on your computer. Launch GIMP on your computer and drag and drop your PDF file into the program. You can also use "File > Import". One important thing to note is that GIMP will recognize each PDF page as a separate Image. Now, you can make changes to your PDF file just as you would an image in GIMP. You cannot directly save the files in PDF format, so, you will have to save the recently edited PDF file in GIMP format and close the program. Launch the converted files in the "Krita [Download Link]" on your computer and click on "File > Print". The last step is to save the PDF file from the printing page. Click on the "print" button again to save the PDF file on your computer. Download and install the program on your computer. On the main interface, click on the "Open" buton and select your PDF file. Unlike most programs, it will let you edit the images of your PDF file first. Afterwards, you can edit any text present in the PDF file. Simply double tap on the text and modify the text. After making changes, you will have to export the PDF file from the program. Click on the "Export to PDF" button which is present right on the main panel of the program. 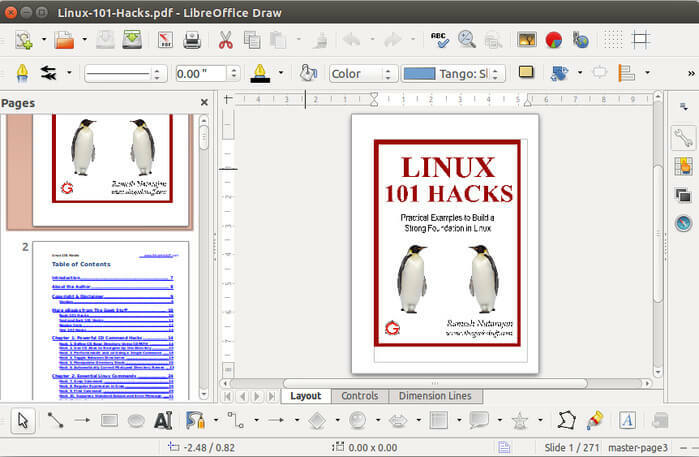 We find LibreOffice to be the best PDF editor for Linux as it is extremely easy to use. Alternatively, are you looking to find a suitable PDF editor to edit PDF files on Windows? There are various free PDF editor programs on the market that will help you with all of your PDF editing needs.